A trait is the overall container for all of the abilities, special rules, and other fun things you can use with the Dicemaster system. You have five trait slots, but that doesn't mean you can only have five traits. It just means that you can only have five active at any one time. Traits can represent equipment, mounts, pets, your class, consumables, or just about anything we can think of! Traits are made up of augments. Augments are the abilities, stats, and special rules that are situated within a trait. Everyone starts with a Class Trait and two augment points to spend. For those that wish to customize and tailor their starter traits or want to craft an item at a trait crafting event, this is the guide for you! Current total set to 15 excluding consumables. Players may carry a max of 1 Class Trait + 3 Standard Traits. 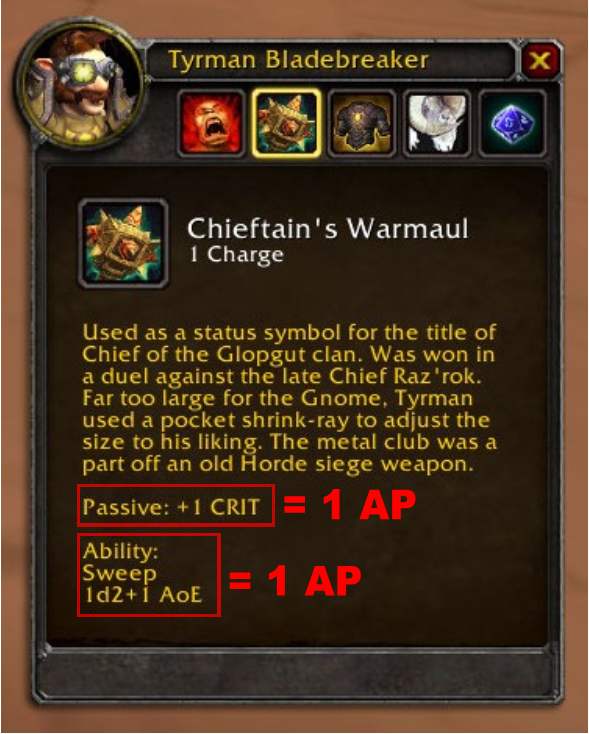 AP Cap for Class Traits has been set to 3. Class traits can not exceed Rank 03. AP Cap has been set to 4 for standard Traits. Please have a DiceMaster officer look over your traits before an event! For each point of + Atk, the number you need to roll for a successful hit is reduced by 1. For each point of + Crit, the number you need to roll for a successful critical strike is reduced by 1. When faced with a defense roll, each point of + Def adds as a modifier to your roll. For each point of + Crit Block, the number you need to roll for a successful counter/cover/prepared is reduced by 1. For each point of + Heal, you gain a modifier to your healing roll. Damage is for each successful attack or ability that deals damage, each + Dmg will deal an additional damage. 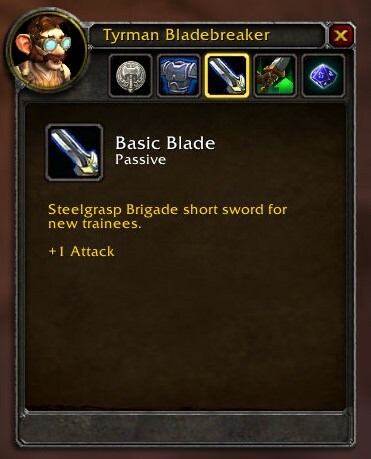 This trait however can only appear on Class Traits. There are also Non-combat traits that is used for situations outside of combat. This is determined by the DM. There are six Core Skills that have Specialized Skills to go with them. Everyone starts with two positive(+) and two negative(-) Core Skills. There are two ways to make a trait; Active and Passive. Active ability augments are augments with a limited number of uses per event. Ability augments can only have up to 5 uses with the Charge resource. Passive ability augments are augments that are always active, and provides its innate benefits to the character at all times. Both may work differently, but their Augment Point costs work very similar. Crafting trait is another form of non-combat and used when crafting another trait. All crafting related rolls are increased by +1. These stack along with your current Crafting Rank. Crafting cap per profession: +3. With this, I am now able to make a hit roll of +1 to greater enhance my attack chance on a target. The +1 in DiceMaster is added after the initial roll. So, the natural roll would have been 13. Actives may also be referred to as Abilities. Each ability costs Charges. Charges are the unique resource system players use with their Ability traits. Everyone starts at each event with 5 Charges to spend on Abilities they may have. Most Abilities cost 1 Charge unless specified. However, once the Charges are spent you cannot regain them for the entire event unless determined at the DM's discretion. Use your abilities wisely! You must state your using an ability before you roll to hit/heal/defend! Each ability costs 1 AP and 1 Charge unless specified. Only your main target takes normal damage, any extra targets take only 1 DMG, even if you Crit. Announce "AoE Healing" in raid or party, and choose a primary target. Roll a standard heal roll for the primary target. Choose 1d2+1 additional targets to gain half of the value of the primary heal, rounded up. Rolling for advantage means that a player can roll the same dice twice, and take the larger of the two resulting numbers. You may use this for Attacks, Defense, or Healing. You must choose one Combat Advantage! This lasts for one rotation based off who used it. This lasts for one rotation. Absorb shieds cost one Charge to use, and last one turn. Healer's Absorb shields, absorb for the amount of 1 standard heal roll. Other class's absorb shields absorb for a flat rate of 2. The ability takes effect when triggered. It is up to the player that cast this spell to remember when it is triggered. Each ability listed here is a very basic description. For roleplay purposes you may change the name! If you notice an ability that isn't listed here that best describes your character, please contact a DiceMaster officer to help craft your trait! Now that both Active and Passive traits are covered, lets try combining them. With no negative modifiers present, this Trait costs 2 AP. Some of you may have seen some traits with a negative modifier. Some players use this to best represent their character in a situation. This also does lower the AP cost of a trait! Can only be used with magic from one school, with melee, with ranged, with explosives, etc. Atk and Def. Can only be used at a certain HP threshold. Can only be used while mounted. Can only be used while a character state is active. Can only attack x Target(s). Can only be used when restricting player's movement. Can only be used at the cost of Stat. If you have any questions, please don't hesitate to ask an officer!